Tallahassee, Fla. – Today, Governor Ron DeSantis announced that Kevin J. Thibault, P.E., former Southeast Regional Senior Vice President of TranSystems Corporation, will serve as Secretary of the Florida Department of Transportation (FDOT) for the DeSantis-Nuñez Administration. Thibault has extensive experience in the private and public sectors, and has previously served for many years at FDOT. Kevin J. Thibault most recently served as Southeast Regional Senior Vice President of TranSystems Corporation. He was responsible for the management of $40 million in revenue and close to 200 employees. In that role, he deployed a streamlined team focused on delivering quality solutions to the transportation agencies across the Southeast. Thibault previously served as Senior Vice President of Parsons Corporation where he developed a national toll practice and engineered the management of the $2.5 billion Gordie Howe International Bridge in Windsor, Ontario. Thibault also has extensive experience in state government having previously served in senior leadership positions with the Florida Department of Transportation for more than 16 years. In 1985, Thibault received his Bachelor of Science Degree in Civil Engineering from the University of Massachusetts Dartmouth in North Dartmouth, Massachusetts. He has also been an Advisory Board Member of the University of Massachusetts Dartmouth since 2013. The beginning of every year should be a time of hope, with the possibility of changing behavior for the better. Tragically, a traffic crash only three days into this new year ended in death for five children, ages 9 to 14, on Interstate 75 in Gainesville. My nightmare began on Feb. 23, 1996. My 14-year-old twin daughters were the victims of a crash caused by reckless and distracted driving. Five children were killed, including my daughter Dori. Her twin survived with serious injuries. This event consumed my mind and my heart. I dedicated my life to road safety. In 2000, I was elected representative for the Florida House, and subsequently re-elected five times. In 2004, I started the Dori Slosberg Foundation to improve road safety by working with law enforcement, legislators, and the public. In 2009, the Dori Slosberg and Katie Marchetti Safety Belt Law passed, allowing police officers to stop cars for occupants not wearing seat belts. In 2011, the Dori Slosberg Driver Education Safety Act was approved, adding $5 to traffic tickets. This has contributed more than $85 million directly for driver education programs in public and private schools across Florida. My two decades of traffic safety advocacy have taught me that learning the cause of crashes is imperative to reducing fatalities. The National Transportation Safety Board (NTSB) investigates many highway crashes, but it is unclear when or if it will investigate the Gainesville tragedy, as staff are on furlough due to the federal shutdown. I call on the president and Congress to reopen the government so the NTSB can work together with Florida law enforcement and transportation officials to investigate the crash. The parents and family of those lost deserve to know what happened. How can officials make stretch of I-75 safer after deadly crash? ALACHUA COUNTY, Fla. – Several communities are heartbroken and left with questions following Thursday’s crash that killed five children visiting from Marksville, Louisiana, along with two others. In 2012, a horrific wreck on I-75 near the Paynes Prairie Preserve State Park killed 11 people. In July 2017, a tractor-trailer struck an RV that had pulled off the side of I-75 near Micanopy. The bassist for a metal band based out of New York was killed. Hours later, a semi-truck driver caused a nine-vehicle wreck after failing to stop and hitting a guardrail on I-75 near Belleview in Marion County. One person died, several more were injured. State and local officials have worked to get answers on how to make I-75 safer. It’s such a dangerous stretch of road that Sgt. Art Forgey with the Alachua County Sheriff’s Office advises avoiding it. “It’s bad enough that I tell my friends and loved ones not to get on the interstate,” Forgey said. At one point, the idea of building a new road between Alachua and Marion counties was discussed but never materialized. The purpose would have been to offset I-75 traffic. A task force was also created to study documented problems on I-75. Ultimately, that task force made a series of recommendations, including implementing truck-only lanes, expanding freight rail alternatives and enhancing intercity bus service. But, as the News4Jax I-TEAM has learned, it doesn’t appear as though anyone ever acted on those recommendations. Matt Surrency, mayor of Hawthorne and one of the task force’s members, said he hasn’t seen any of the changes yet. According to the Florida Department of Transportation, local governments have shut down most of the ideas, or at least put them off. That’s a source of frustration to Surrency, whose committee offered some viable guidance. “I think that you get frustrated after awhile, especially with the pace government works at sometimes,” he said. Because the cause of Thursday’s crash remains under active investigation, Surrency was reluctant to point fingers. Instead of trying to find someone to blame, he said, now is the time to band together and take action. “It’s something we can do this year,” Surrency said. The number of crashes in Alachua County has increased overall, according to data from the Florida Highway Patrol. In 2017, there were 55 fatal vehicle crashes — an increase from both 2015 and 2016. For now, the Alachua County Sheriff’s Office is looking at increasing patrols along that stretch of highway. Currently, state troopers and deputies work the road together, but the sheriff wants more resources to deter dangerous driving. Preserve more of Florida’s wilderness. It’s good for business. The state Legislature has done too little to conserve and protect environmentally sensitive areas. Florida needs to start conserving more of its most vital lands. Florida is in a relentless competition to attract and retain high-end businesses and the talent that supports them. Our quiver includes some common fiscal arrows — low taxes, less regulation and, in some cases, loads of taxpayer-funded incentives. Of course, luring and nourishing businesses is not all about finances. Quality of life matters. That can mean good schools, easy weather, robust transit or a vibrant arts and entertainment community. It also means outdoor places to play. Places to canoe or spot an alligator. Places that keep our water clean. Places to bag a deer or catch a trout. Places that you may never visit but are glad won’t be covered in concrete. In 2014, Florida voters overwhelmingly passed an amendment to use a slice of existing real estate taxes to preserve environmentally sensitive land and water resources. Few likely voted for it as a way to keep us globally competitive. Even so, it could help do just that. A decade from now, another 5 million people could be living here, according to some forecasts. That’s more than the entire state of Alabama. By 2030, the population could exceed 26 million, more than everyone who currently lives in Australia. Some of your new neighbors will happily live in the condo towers going up in our downtowns. But many will want a single family home on their own quarter acre of paradise. Just look at Hillsborough County, east of Sun City Center. Twenty years ago, it was mostly small towns, farms and wilderness. Now development creeps up State Road 674 and Balm Road. Further north, home builders have broken ground east of the upscale FishHawk Ranch community, which basically didn’t exist 20 years ago. How soon before it’s all at the doorstep of Alafia River State Park? Developers will happily oblige our dreams, buying more farmland or pushing further into Florida’s limited wilderness. Who can blame them. It’s what they do. Beside, they can only do it because our elected officials let them. That’s why 75 percent — 75 percent! — of voters wanted the state to use $300 million a year to buy up land. Unlike so many of our legislators, they understood that we need government to lead on this. The private sector is better at a lot of things, but the voters don’t trust it to protect the land that needs protecting. So far, however, the state Legislature has thwarted the voters’ will. In four years, it has used the pot of money to buy nearly no new parcels. In fact, it has used tax dollars to pay for lawyers to fight off lawsuits from groups that want the state to preserve more land. Is your head spinning yet? It’s a showcase in short-sightedness. In 30 years, it won’t be easy for the future governor or members of the Legislature to lure or cultivate the next Apple or Microsoft if the state’s wilderness is covered in six-lane roads, parking lots and tract housing. Many of the high-skilled jobs of the future — the ones that every state covets — will just as easily be done from Denver as Tampa, Salt Lake City as St. Petersburg. If we can’t offer an appealing lifestyle, including easy access to outdoor pursuits, we’ll lose the race for businesses and workers more often than we win. And there aren’t many do-overs on the environment. Preserve it now or spend a lot more money recapturing it later. This is not an argument to buy up every plot of land in sight. There has to be a balance. We have to have room for more homes and more development. But it’s myopic to think that curtailing building in some vital areas will adversely affect the economy. In the long run, it will have the opposite effect. It will make us more desirable to the companies and people who we want to attract and the ones we want to keep. Contact Graham Brink at gbrink@tampabay.com. Follow @GrahamBrink. Thousands of federal employees will be furloughed while others have to work without pay. Here’s what will be affected in Florida. MIAMI, FL — Thousands of federal employees will be furloughed while others have to work without pay. Here’s what happens during a partial government shutdown. House Republicans say they will continue to work to come up with a deal. In the meantime, here’s a look at what will happen now that lawmakers have been unable to reach a deal to keep the government sufficiently funded. A report prepared by Democrats on the Senate Appropriations Committee says that around 800,000 federal workers will be furloughed or have to work without pay. Airports will continue to function during the busy holiday travel season, but Transportation Security Administration employees and Customs and Border Patrol agents are among those employees who will have to work without pay. Federal law enforcement agents and correctional officers will also continue to work without pay. The shutdown will affect nine federal departments, including Homeland Security, Transportation, Interior, Agriculture, Commerce, State and Justice, The Associated Press reports. The lack of funds will disrupt many government operations and the routines of 800,000 federal employees. Roughly 420,000 workers were deemed essential and will work unpaid just days before Christmas, while 380,000 will be furloughed, meaning they’ll stay home without pay. The U.S. Postal Service, busy delivering packages for the holiday season, will not be affected because it’s an independent agency. Social Security checks will still be mailed, troops will remain on duty and food inspections will continue. The Post Office will stay open during a government shutdown and Social Security payments will go out as usual. Farmers will suffer, as the USDA will close local and state farm service centers across the U.S.
Over 30 million small businesses will no longer have access to federally-assisted loans and technical assistance. Local jurisdictions will not be able to move forward with Community Development Block Grant projects. With the shutdown of national parks, economies of local communities that depend on them for tourism willbe affected. Civil litigation, payment to victims and training for state and local law enforcement will stop during a shutdown. Companies petitioning to avoid tariff on steel and aluminum products will not be able to do so. Food banks that receive commodities from the USDA will be affected. Small and remote rural communities that lack adequate clean drinking water will not be able to seek assistance to construct water systems. Payment to public housing agencies will be delayed. Reporting and writing from The Associated Press was used in this report. On Oct. 10, Hurricane Michael slammed ashore on Mexico Beach with devastating impact. The impact was not limited to the coast, as inland counties also felt the high-end Category 4 storm’s wrath. Before leaving Florida for Georgia, the Carolinas, and Virginia, the hurricane killed at least 35 Floridians, knocked out power to 380,000 homes and businesses, and caused insured damages of $2.6 billion (and climbing). Florida’s agriculture industry, including cotton, peanut, and corn farms, suffered more than $150 million in damages and timber losses are estimated at $1.3 billion. It will take years for many of the areas affected by the storm to fully recover. And many of the impacted places haven’t benefited from the economic recovery enjoyed by many parts of the state. Luckily, a new federal program could help with this recovery, as well as promoting economic development in communities for years to come. The federal Tax Cuts and Jobs Act of 2017, signed into law last December, created a community development program called Opportunity Zones, which provides a vehicle to connect private capital to deserving communities across the nation. The program could help to spur economic growth in areas impacted by Hurricane Michael. The program provides an incentive to invest in these zones by providing a tax deferral on the sale of assets if those proceeds are invested in a Qualified Opportunity Fund (QOF). Taxes on these capital gains are deferred until December 2026. If held for five years, the deferred capital gains tax is reduced by 10 percent and after seven years it is reduced an additional 5 percent. If held for 10 years, any appreciation of the QOF is exempt from federal income taxes. All investments in Opportunity Zones must be made through QOFs, which must be approved by the U.S. Department of the Treasury. They can be private or publicly-managed funds and are required to hold at least 90 percent of their assets in qualified opportunity zone businesses or business property. Governors from all 50 states and 5 territories, as well as the Mayor of the District of Columbia, were invited to nominate up to 25 percent of the qualified low-income census tracts in their states as Opportunity Zones. Governor Rick Scott submitted a list of 427 potential Opportunity Zones, featuring at least one in every Florida county. Last June, the U.S. Department of the Treasury certified the list, designating all nominated tracts as Qualified Opportunity Zones. The designated zones include three tracts in Bay County, two in Jackson County, eight in Leon County, and one each in Gulf, Gadsden, Calhoun, Franklin, Holmes, Liberty, Taylor, Wakulla and Washington Counties. There is a provision to allow 5% of tract nominations to be tracts that did not meet the current designation but were contiguous to other tracts that did meet the criteria. Florida justifiably chose not to nominate contiguous tracts in order to target the areas with the most need; however, the hurricane may have rendered some of these contiguous tracts very much in need of help. The Opportunity Zone regulations have not yet been finalized. The Treasury Department and the IRS issued proposed regulations back in October. The deadline for public comments is December 28, 2018 and a public hearing will be held on Jan. 10, 2019. Hopefully the final regulations will be adopted soon thereafter. If you or your company recently sold or are planning to sell appreciated assets, we urge you to explore investing in a Qualified Opportunity Fund, especially in areas impacted by Hurricane Michael. It could be beneficial to both you and your state. We also recommend that both our current and incoming Governor, along with state lawmakers, to work with Florida’s Congressional delegation to include more areas impacted by the storm as Opportunity Zones. This could be an important tool in spurring the revitalization of these communities. Dominic M. Calabro is president and CEO of Florida TaxWatch. Where they will come from, however, is undetermined. County commissioners Dec. 4 amended an item directing Mayor Carlos Giménez to issue a purchase order for buses through a Central Florida Regional Transportation Authority contract to allow the county to shop for better price and quality options from contracts nationwide. 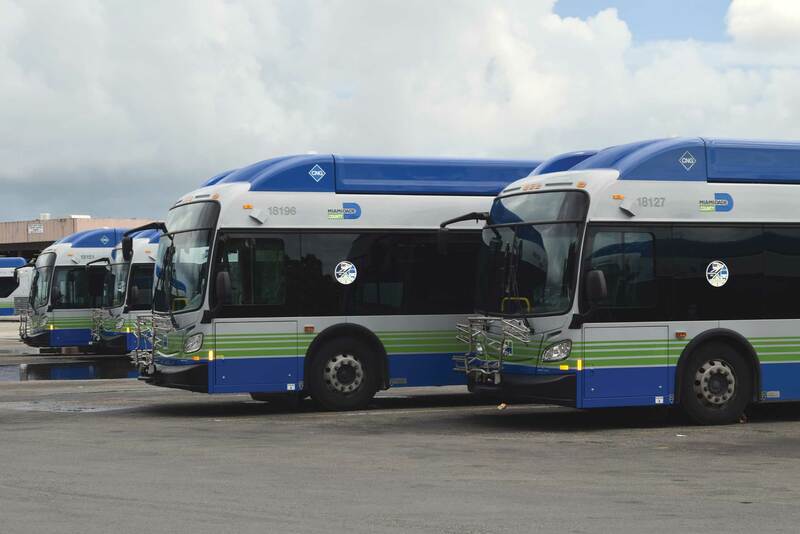 Miami-Dade currently gets roughly five new CNG buses per week from New Flyer of America, Transportation Director Alice Bravo said. If the county were to contract with multiple manufacturers, Mr. Giménez said, it could replace its outdated diesel-fueled fleet much faster. “Instead of 20 buses a month, we can get 40 buses a month and get those old buses off the street,” he said. And no matter where the buses come from, he said, county technicians would be able to service them because their inner workings are essentially the same. While the county isn’t restricted to buying through the Central Florida Transportation Authority contract, it must move quickly if it chooses to do so, as the organization’s five-year contract with CNG bus builder Gillig expired Dec. 11. Miami-Dade can order up to 713 Gillig buses through the contract, which far exceeds its needs. But to fund any bus purchase, the county would need to access the money from the “half-penny” tax voters approved in 2002. To access that money, the county either needs approval from the Citizens’ Independent Transportation Trust (CITT), which oversees the fund, or an override through a two-thirds vote by county commissioners. Javier Betancourt, executive director of the CITT, said that due to time constraints, if the county opts to buy buses through the Central Florida contract, it would have to do so and seek retroactive approval from his group. “This is happening in reverse order at this point, so they will be sending us an item for our consideration on the tail end instead of the front end,” he wrote Dec. 6. Buying buses through an external contract deviates from how the county bought its last round, said Ms. Bravo, who said county typically issues an invitation to bid, a process that takes about four months. Jeffery Mitchell, president of the Transportation Workers Union of America, Local 291, said the residents were “crying for better equipment, more buses,” and not ones built by New Flyer, which he said are problematic. Miami-Dade as of last week had accepted 134 of 300 buses from New Flyer, Ms. Bravo said, of which a small number had tire imbalances that caused a “resonance frequency” between the bus’ body and tires made it vibrate when traveling at 65 miles per hour. After a battery of tests to identify and correct the problem, preventative measures were established to ensure it didn’t occur once the buses were delivered, she said. New Flyer also agreed to extend warranties on several bus components and conduct additional inspections during the warranty period. “Since that process was put in place there’s been no more vibration issues,” Ms. Bravo said. But Mr. Mitchell said the vibration problem is one of several that Miami-Dade transit workers found with New Flyer buses. Jennifer McNeill, vice president of sales and business development for New Flyer, said few of the buses her company delivered are out-of-service due to mechanical or systemic problems. Nine were out-of-service because of accidents, she said. Eight were with Cummins for engine work. The remaining eight were being serviced by New Flyer or being dispatched. On Monday this week, Ms. Bravo said that while the New Flyer buses her department accepted into service were “performing well,” the county was exploring its options. For years, the Florida Department of Transportation was known for its distant relationship with the public. Now the agency is trying to be a better neighbor. TAMPA — The Florida Department of Transportation has an image problem, and new hires within the agency are trying to fix it. For years, the department was known for its antagonistic relationship with the public, which peaked with the Tampa Bay Express highway expansion. That project was quashed after a public outcry, and multiple leaders were replaced. Now, the agency is trying to move forward and rebuild trust in the community. A new district secretary who is viewed as more open helps. So do events like a listening tour the state organized in West Tampa on Friday. Department heads and engineers boarded a bus with community members in hopes of developing relationships and learning more about the neighborhood. The tenor of the current department is a far cry from the 2015 and 2016 Tampa Bay Express days, which were marked by a “take it or leave it” attitude. That’s changed in the past two years, Fernandez said. The state announced a “reset” of Tampa Bay Express and in 2017 rebranded its efforts in the area as “Tampa Bay Next.” The new name came with more than half-dozen staff changes, including the arrival of district secretary David Gwynn, who took over in July 2017. The bus on Friday was filled mostly with department employees and consultants. A handful of community members, several of whom grew up in West Tampa, sat near the front with Gwynn. They pointed out problems they’d like fixed and history they’d like preserved. As the bus rolled down N Willow Avenue near the interstate, they spied the retention pond that often fills with trash. “That’s our retention pond, there?” Gwynn asked. He knew the department was having an issue with its maintenance crews, and made a note to check on the status of the property. It was one of the few sentences the secretary said in the nearly 90-minute tour. This was a listening tour, and that’s what he was going to do. Next, the group came across one of the overpasses where the interstate cut through the neighborhood. Many of the projects people highlighted didn’t fall under state jurisdiction, but it was still helpful to hear about them, Gwynn said. The department often partners with the city and county, and having an understanding of the community’s overall vision and desires helps the state on a macro level, he said. Robinson and others praised the neighborhood’s history and cultural fabric. They pointed out the cigar factories and the brick roads, along with century-old buildings and some of the best Jamaican food in the area. Robinson wanted officials to see the good in the neighborhood, not just the road plans and diagrams. Robinson thanked Gwynn and other staff for taking the time in the community. It was good to put faces to the names, he said. State officials weren’t always so willing to engage. The agency’s $6 billion highway expansion was met with almost instant pushback when unveiled in May 2015. People felt the project came out of nowhere, with no public input. State officials cited origins from the 1990s. Two years of contention followed. It wasn’t uncommon during that time to attend a transportation meeting and see the seat designated for the district secretary or overseer of Tampa Bay Next empty. Calls to the office’s public information number would go straight to voicemail. At one public meeting, a staff member sat in the back and snickered at comments from crowd. A forced reset from Tallahassee and new hires worked to change that mentality. Richard Moss stepped in as director of transportation development in April, a role that directly oversees Tampa Bay Next. Moss was aware he was moving into an “antagonistic relationship between FDOT and the public” and knew work needed to be done. That’s why the district continues to plan events like Friday’s listening tour, Moss said. The department did a similar tour in East Tampa, along with walking with community members through the neighborhoods of MacFarlane Park, Armory Gardens and West Shore Palms. Officials went door-to-door in Tampa Heights, VM Ybor and Historic Ybor seeking input. Not everyone on the bus tour was impressed. Hillsborough County NAACP president Yvette Lewis watched as they turned through the neighborhood streets. While others on the bus praised progress and economic development, she saw a history of demolished properties and exclusion. Her comments extend to everybody — the state, the city, the wealthy homeowners who move in and outprice others who can no longer afford the rising rent. Elaine Illes, a historic preservation consultant, shared a seat with Lewis and listened to her concerns. Illes noted some of them were at odds with what Robinson and others on the bus called for. She encouraged Lewis to continue to speak up, saying every new administration change is an opportunity to start fresh. “Hopefully they listen to you, then, because they’re not listening to us,” Lewis said. The state agency has made strides since the Tampa Bay Express backlash, but some are worried it could turn at any point. Fernandez said each morning he wakes up, he’s still afraid a Google Alert will notify him of some change in the department that hurts the community. Sarasota Bradenton International Airport, which has seen double digit growth in passenger traffic every month since May, and forecasts a 44 percent increase in January, is having growing pains. Among them an inadequate fuel farm to supply all the new flights, and the need for more baggage belts to handle passenger luggage. “These are all growth problems. They are good problems to have,” said Rick Piccolo, president and CEO of the airport, told members of the Sarasota Manatee Airport Authority on Tuesday. In 2018, SRQ added two new airlines, Allegiant Air and Frontier Airlines, 20 new routes and 15 new destinations. In addition to the new airlines at SRQ, existing carriers, United Airlines, JetBlue, American Airlines, and Delta Airlines have all announced additional or earlier services. In response, the airport authority Tuesday approved an increase in the airport’s capital projects budget of $2,075,000 to design and construct a fuel farm expansion and add a blast fence near ground transportation, and begin preliminary planning for the 76-acre Tallevast and 15th Street outparcels. Sarasota Bradenton International Airport has seen double digit increases in passenger traffic throughout much of 2018. Expansion of ticket services is already underway to provide enough ticket positions with direct access to the bag belt system. The airport board also approved a $1.5 million contract with Magnum Builders of Sarasota to demolish the Jeanne McElmurray Building, and renovate the current Transportation Security Administration space to serve as a new boardroom, expand the police department area, renovate the executive offices, and expand and renovate the badging area. Tuesday, the airport authority also awarded a $4.4 million construction contract to Wright Construction Group for improvements to 92 acres of undeveloped airport land. As chairman of the Sarasota Manatee Airport Authority, Bob Spencer, center, presided over double-digit passenger growth in 2018. On Tuesday, he turned over his gavel to Peter Wish, left. At right is Rick Piccolo, president and CEO of Sarasota Bradenton International Airport. Called the North Quad Development Project, improvements include upgrading Clyde Jones Road, constructing additional roadways within the project area, stormwater management, and extension of water, sewer and electricity to the site. In addition, the authority approved a request to increase the contract scope of work for a master drainage plan for the North Quad area with an additional cost of $521,215. 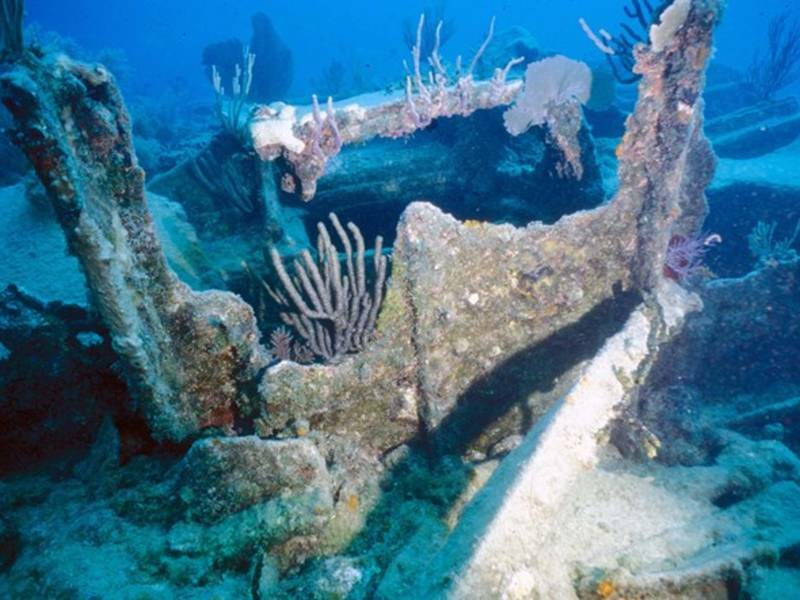 With the construction drawings developed for the master drainage plan, SRQ staff would be able to apply for $8 million in grants through the Federal Aviation Administration and Florida Department of Transportation to pay for improvements. Upon completion of the project, existing ponds at the airport would be reduced in size, reducing the attraction to wildlife, and improving safety for departing and arriving flights. In addition, the airport would be able to move forward with economic development of Quad North. The airport is debt free and operates without property tax revenue.